One of the fun things about tracking macros is figuring out how many things I would normally eat, not realizing how good they are for me. 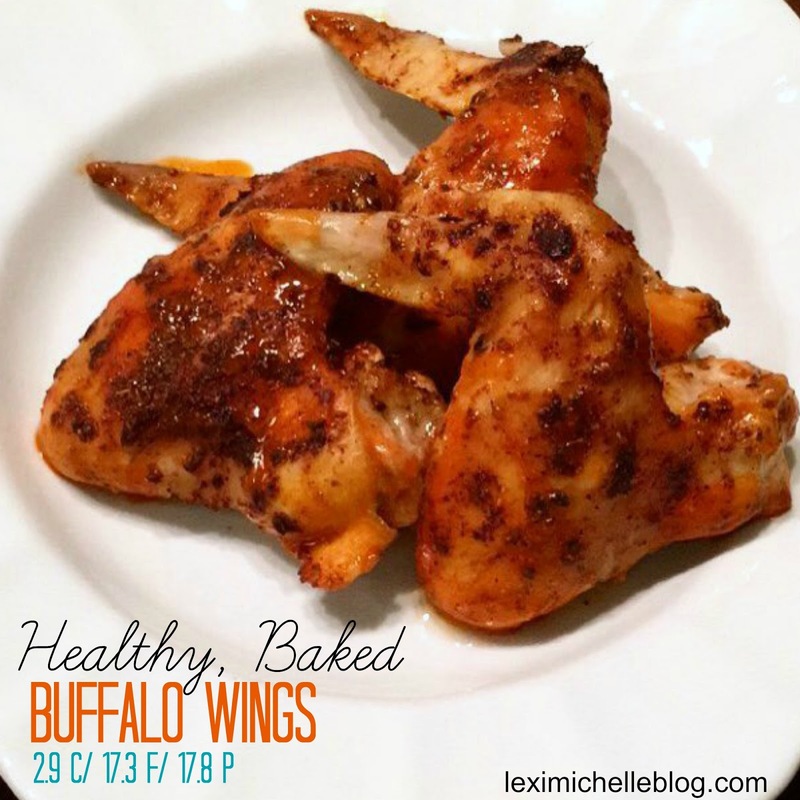 Buffalo Wings are one of those things. If you deep fry them like they do at Buffalo Wild Wings, then no. Not so healthy, but baking them is actually 10 times easier andddd they still taste amazing! You also don't need to make them buffalo style. Did you know that BWW actually sells their different flavored sauces? I didn't, until I worked there for a little while. This time around I just used Franks Red Hot Wings sauce, but next time I might stop by BWW's for some Carribean Jerk for my husband. What inspired this recipe? Well, maybe the fact that the Superbowl's right around the corner, or it could've been because our grocery store had a major sale on wings and Frank's Buffalo sauce haha but none the less, it made for a delicious & healthy meal full of protein, with next to zero carbs. Mix vinegar and spices with a few squirts of buffalo sauce to create a marinade. Arrange wings in two 9x13 inch pans and spread marinade over wings. Let marinate for 30 minutes (covered) in fridge. Heat oven to 400* and bake wings for roughly 45 minutes (or until cooked through & skin is crispy) flipping wings halfway.